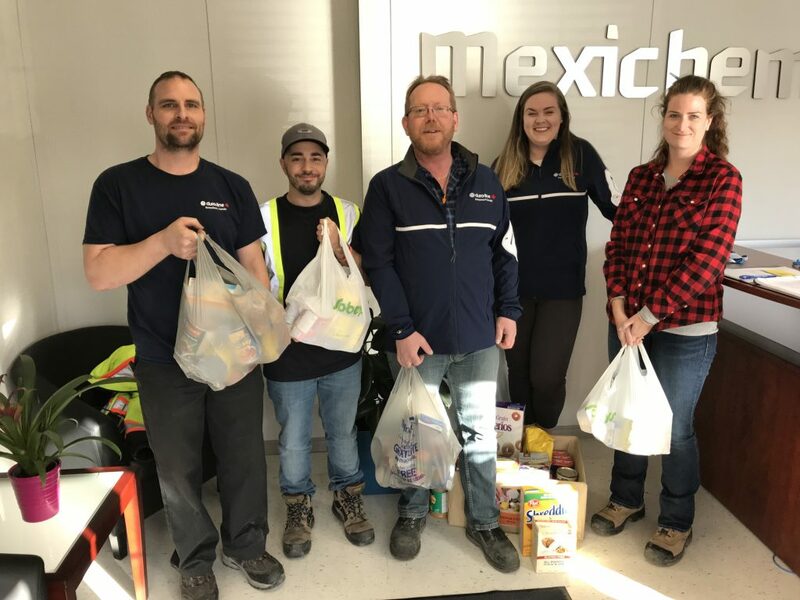 Duraline Gravenhurst employees under their parent company Mexichem held an in-house food drive for Manna this fall. Here Matt, Darrin, Les, Sarah and Megan present the food items collected for delivery to the food bank. And congrats also to Duraline Gravenhurst and parent company Mexichem on your upgrades!